The Arena of Valor Twitter account was, for once, on fire over the weekend as the Valor Series came to a close. I’m going to try to make sense of it somewhere down below today, but scrolling through these logs right now makes me question my own understanding of the whole season. Besides that, there’s some skin news to cover, and I’m going to highlight an online petition that has a healthy 4 signatures as of the time of writing. It’s hardly that “Revoke Article 50" Brexit petition that made the rounds on UK Twitter a few weeks back, but we commend any attempt for change – even if it just ends up looking like spam. BMGaming Wins Valor Series – But Is That It? Okay, so it looks like we’re tackling this particular beast first. Last weekend saw the culmination of over 2 months of frighteningly fierce esports competition. I didn’t manage to catch it live, but the social feeds would have me believe that BMGaming eventually took the crown and are set to jet off to Vietnam at some point this year. I can’t give a date because I can’t find any mention of it online, which sounds about right for a Tencent/Garena production. The thing is, I was under the assumption the Valor Series playoffs were designed to find separate teams to represent North America, Latin America, and Europe in the international competition; yet the AOV social feeds only ever mention the North America team BMGaming as winners of the Vietnam trip. 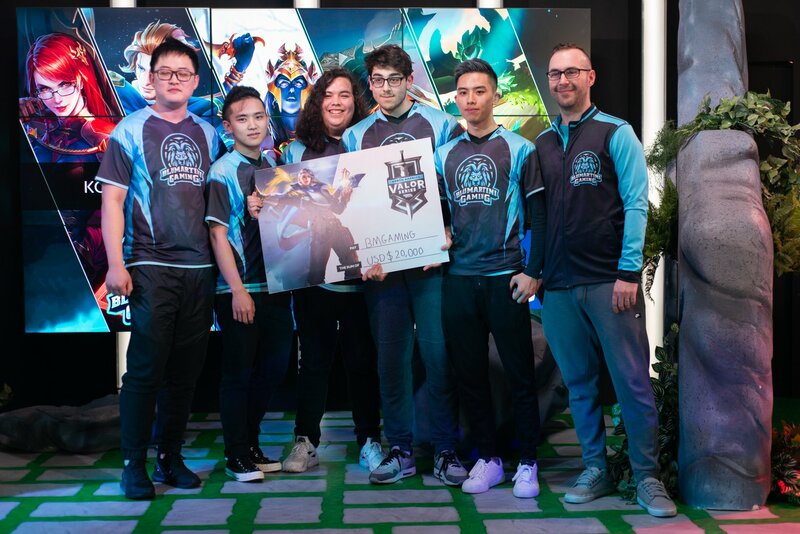 Both the European and LATAM arms of Nova eSports walked away with the same $20,000 prize at BMGaming, but it really isn’t clear whether these teams are also set to take part in the Vietnam AWC event. Each Nova team fell to BMGaming, but it looks as if the stakes were higher than I first thought. GG either way! When Twitter account AOVLEAKS datamines the game with each major update, we learn of new content and their release dates sometimes months in advance. It reveals the entire AOV calendar. But that foresight has been tossed aside after a bug with an upcoming skin meant delaying it indefinitely, leading another skin to take its place. According to the AOV Twitter account, they “discovered a bug" with Wukong’s Biker skin on April 8th. To make up for the delay, Skud’s Hellfire Demon Arm skin was released instead. 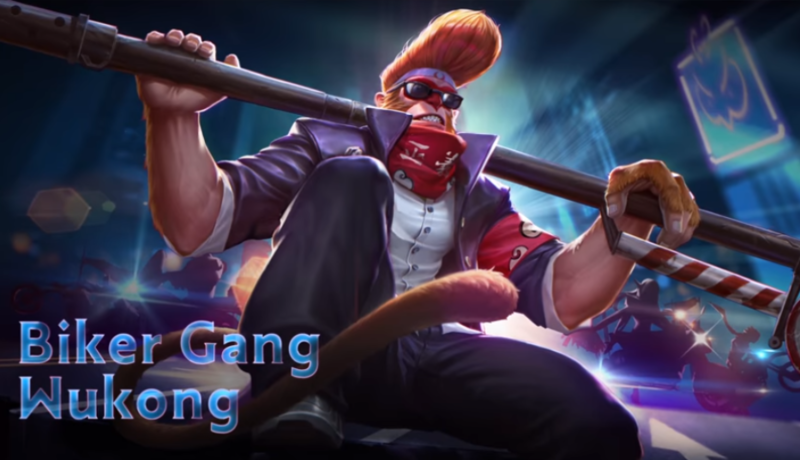 But as striking a skin as it is, it’s a scratch-off exclusive; so not exactly the clear-cut purchase those waiting on the Wukong Biker skin might have topped up their Voucher count for. With a cost that increases with each play of the board, the Scratch-Off “feature" isn’t a fan favorite, with many typically spending $40+ to eventually nab the skin that teases them on the glorified roulette wheel. It’s an impressive skin, but throwing gatcha bait into the trap to soften the blow of a delay probably didn’t please too many people. Now we just have to wonder how it’ll affect the release schedule we usually take as gospel. Shoutcaster Bil Carter has been gracing our screens for 3 seasons of Arena of Valor play, and signing off on the latest brought tears to his eyes. “For three seasons, Arena of Valor has been my home", said Bil in a now pinned tweet on his profile. “This community given me has so much life, excitement, and happiness over the last year, more than you ever imagine." He thanked his audience in the tweet, but also in the accompanying clip from the live event where you can hear his voice start to crack as his eyes well up. The team did a fantastic job breathing life into the competitive scene with their enthusiastic casting and on-screen chemistry. 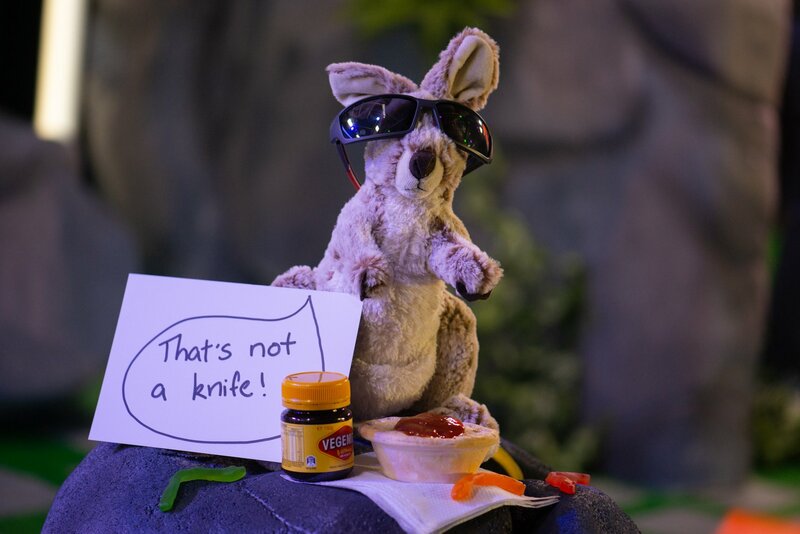 But Bil made it into several great clips of the event thanks to an impromptu pizza delivery, a mangled Australian accent, co-host name snafu, and an over-attachment to a stuffed kangaroo that I totally understand. That thing was cute. Now he’s off to Germany for what I can only imagine is TwitchCon. When will the guy take a breather? Leaving things on a slightly sarcastic note, one Arena of Valor player their day spamming every AOV Facebook post they could find with their self-made petition to get a Brazil-only server. As you’ve probably guessed from the headline here, it’s not going too well. It’s hard enough getting a decent response out of the AOV support staff these days, so the idea of 4 Brazilian players demanding their own server infrastructure just makes me giggle ever so slightly. But in actuality, it’s 4 Spanish players trying to distance themselves from the Brazilian player population for many of the same reasons EU players have tried to kick out the Turkish for years! You can’t fault someone for trying, but it’s like screaming into the void at this point. The whole of Europe has wanted to distance itself from the Turkish player base for years now, but that hasn’t happened. Australia can barely play on a cluster that was practically designed for them until Tencent decided to ignore that, and basically, every server has been shafted by the new update. Now’s not the time to be selfish. We all need to band together to get anything done. And even then it’s probably a big waste of time.